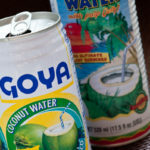 Myth or Truth: What’s the deal with coconut water? We’re not the only ones to note the sudden popularity of the new must-have drink, coconut water. 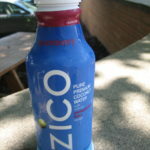 One of our reders, @WaffleW on Twitter, asked, “What’s the deal with coconut water? I’d never heard of it until a week ago, and now the buzz is everywhere. Good stuff, or just a fad?” It seems many folks are interested in quenching their thirst with something a little different, and if it comes with health benefits, then all the better, right? Coconut water is a current trend for sure, but does it really deliver on the health claims? For starters, coconut water is the liquid found inside green coconuts, as opposed to the creamy, white coconut milk that comes from the meat of the fruit. The water is low in calories, and does contain sodium, potassium, and fiber. A majority of the health buzz is that coconut water can be a substitute for other types of sports drinks after a workout. If nothing else, this trendy, new (to us anyway), drink provides another option for those interested in trying something new. While most of us can adequately rehydrate with plain old water, those of us working more intensely are wise to use a recovery drink that offers carbohydrates and electrolytes. Check out this summary from a fellow registered dietitian comparing various coconut water brands to one of the best-selling sports drinks, Gatorade. Interested in other drinks we’re likely to see more of in the coming months? Check out this blog post on 2010 beverage trends. We tried a couple of different brands of coconut water, and found that it’s an – ahem – acquired taste. What’s your favorite brand? What is it about the flavor that keeps you drinking it? zico is the best! love the natural. nothing better after a good sweat workout! try the pomberry too!! sounds like something i would not like! give me a big ol’ glass of water or bone chillin’ iced green tea! everyfoodfits.com » Coconut water…for real this time.